This anthology of translated short stories by Japanese writers captures the city of Tokyo through most of the twentieth century--a period of war, bombing, urbanization, and modernization, in short, constant change that has altered and continues to alter the very geography of the city. The eighteen stories, varying from literary sketches to popular fiction, picture everyday life in different parts of the city--in its nightclubs, department stores, bars, homes, and working-class neighborhoods. 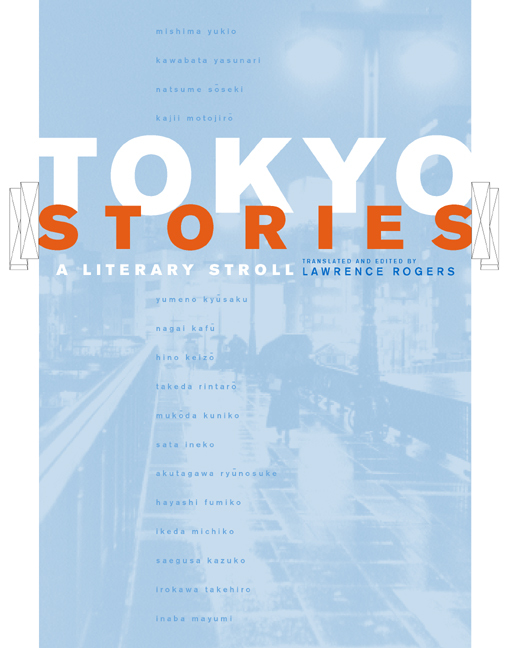 For the tourist, armchair traveler, or long-time resident, this book is a literary excursion into Tokyo illuminated by the evocative, and often ironic, words of its writers. These expertly translated stories range from reflections on deaths in his family by Akutagawa Ryunosuke, the venerated master of the short story, written just before his own suicide; to a story of an all-too-brief affair in the old part of Tokyo by Hayashi Fumiko; to an unsettling tale of high politics and possible blackmail by the ever-popular Mishima Yukio. The volume also introduces the work of Ikeda Michiko and Inaba Mayumi, who have never been translated into English before. Lawrence Rogers's introduction leads us on an intimate meditative stroll through the city's various districts--from the marble and mahogany of the business district to the skid row of San'ya--describing each in delightful vignettes. As an introduction to Tokyo and to the literary imaginations it has inspired, this engaging book will reveal something new about the nature of Japan's capital to all who wander through its pages. Lawrence Rogers is Professor of Japanese at the University of Hawaii at Hilo and translator of the novel Citadel in Spring (Haru no Shiro) by Agawa Hiroyuki.